Can you think of a shopping experience that you had in the past six months or so that was especially great, in that the experience created delight and surprise for you in any way? 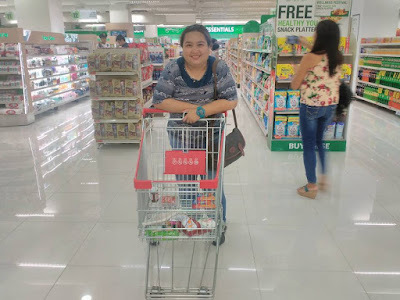 I just did today when I visited the Robinson's Flash Sale at the newly opened Ayala South Park mall in Muntinlupa City. From someone who's practically from the North, it seems pretty impractical for me to travel all the way from my area in Project 4 [near Cubao] to this Southern part of the metro, right? Never mind if I had to pay my Uber pool driver worth P801 pesos for my Friday morning one-way fare. I also didn't mind the usual hellish Metro Manila traffic. 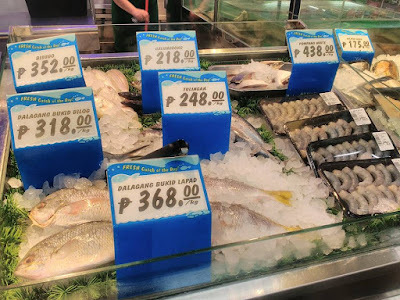 As they say in the vernacular, "Pikit-mata akong nagbayad kay 'Kuya Driver'' because I had really wanted to check out the Robinson's 3-Day Flash Sale at Ayala South Park mall. It was 'salary day' for most young professionals which makes it all the more difficult to commute from my place to Ayala South Park. But like I had been saying, I really didn't mind at all. 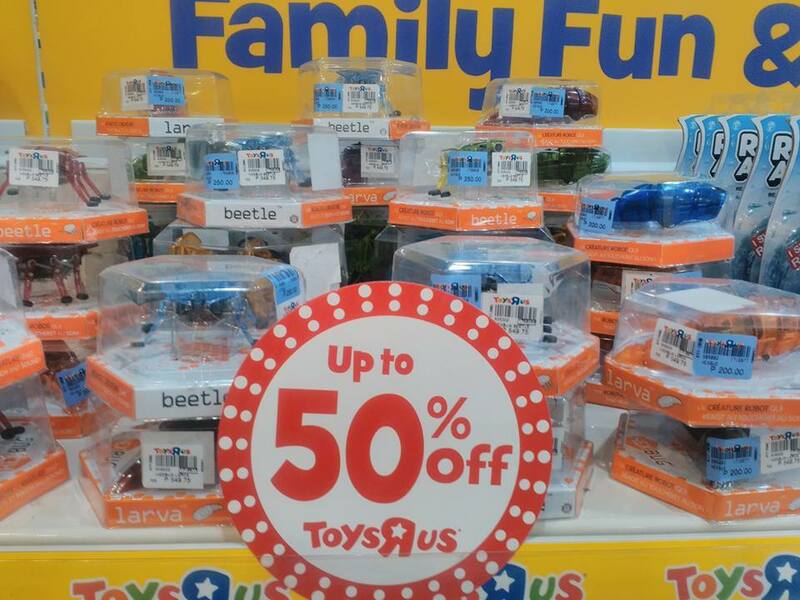 Everyone wanted to get their savings on, right? 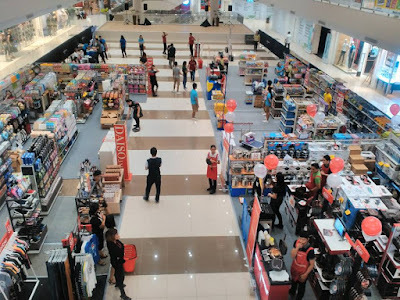 I was lucky enough to have gone early to where shopaholics and bargain hunters should be but sans the huge crowd in some malls that offers sale and discounts. 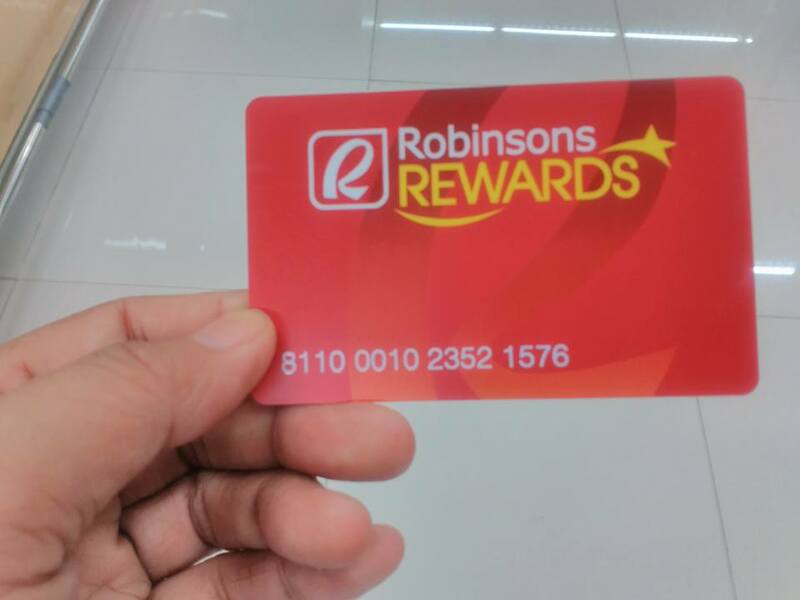 I have good news too for shoppers who have BPI cards like their AMORE cards, BPI credit cards as well as those who happen to have Robinson's Rewards Cards because they've got perks and freebies for a minimum purchase during the entire flash sale at participating Robinson's owned establishments like Daiso, Toys 'R Us, Robinson's Supermarket, Robinson's Department Store, South Star Drug and Handyman. 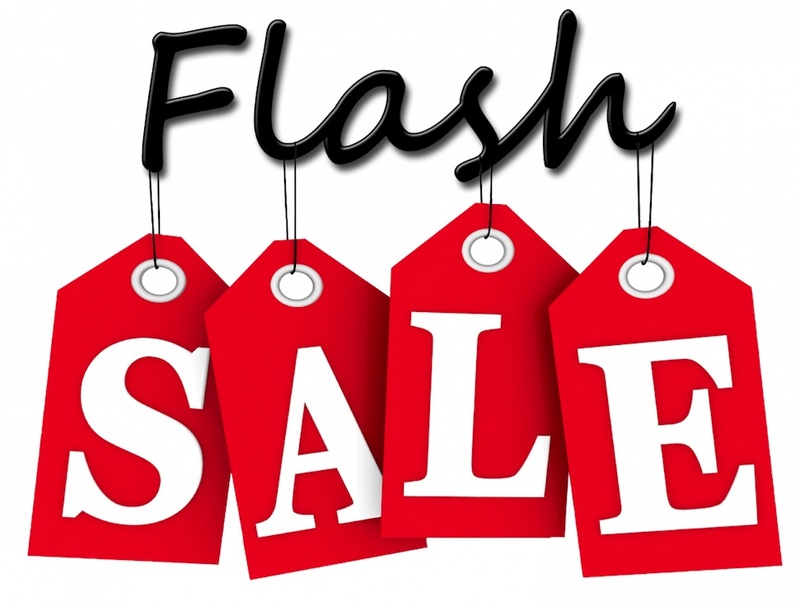 The flash sale is exclusively for the card holders I've mentioned above. 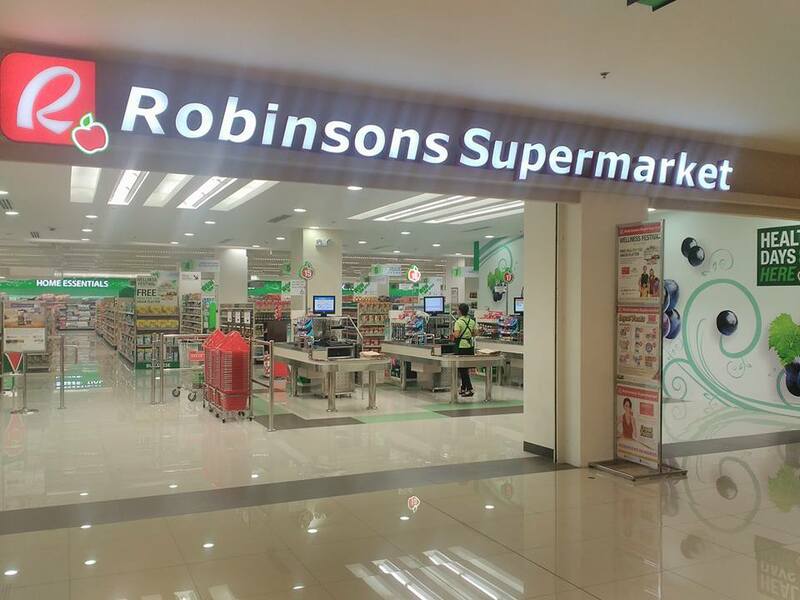 But if you don't have the Robinson's Rewards cards, fret not! You can purchase them for only Php100 on those three-days [from July 14 to 16]. Regular price is at Php150 for the membership card. 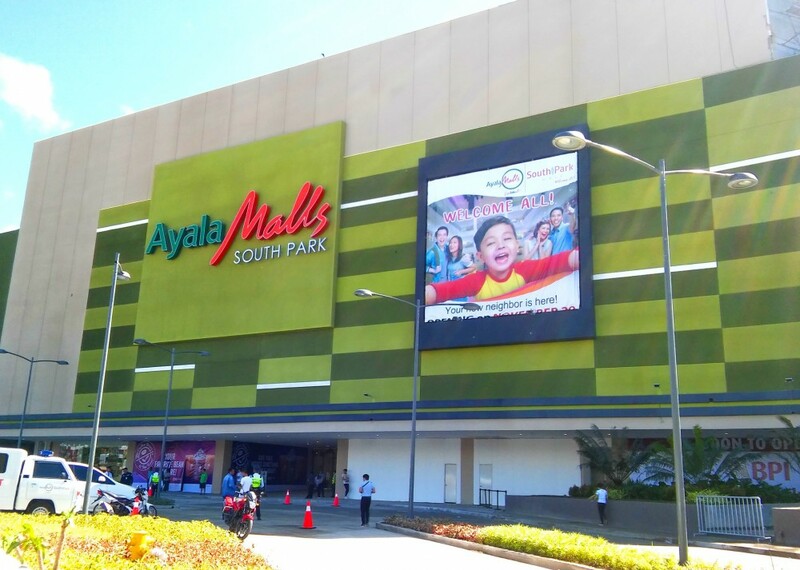 That means, you get to save Php50 for joining if you avail of the card on those dates. So, how did my shopping experience went? Well, it was breezy to begin with. 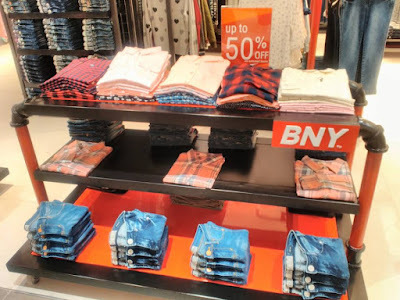 It wasn't as crowded as the other malls I went to, even if it's sale. There are also a whole lot of items on bargains which are being sold at unbelievably steal prices. I started my shopping at Toys 'R Us found at the second floor of Ayala South Park mall. 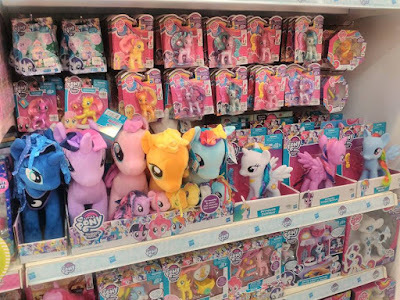 For those who aren't familiar with it, Toys 'R Us as the name implies, is the most established toy company in the world with a solid reputation of bringing world-class quality and branded toys. Their branch here at Ayala South Park mall is their 33rd stand-alone store. 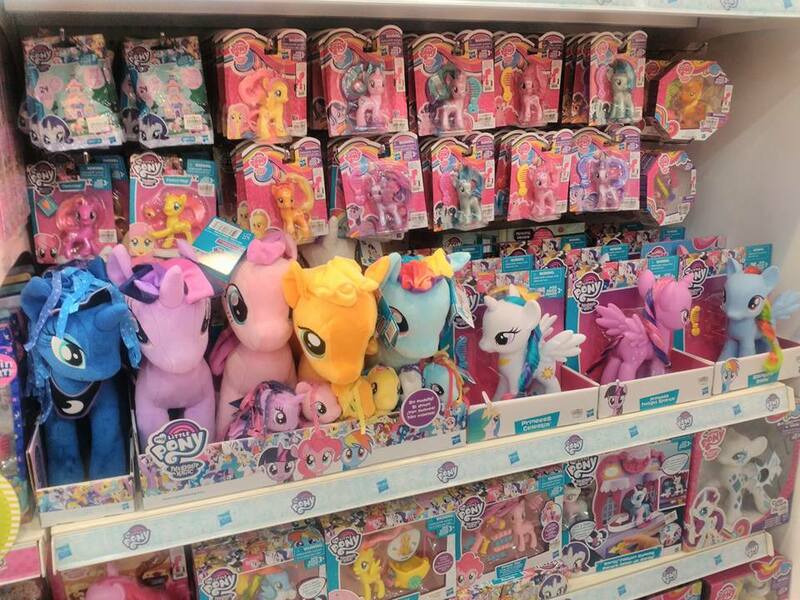 My Little Pony recently made its comeback! 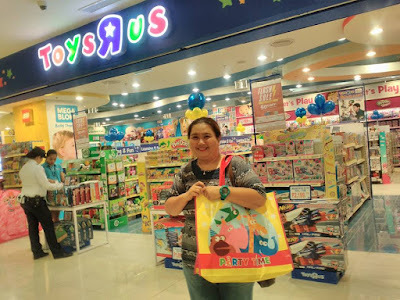 What makes shopping at Toys 'R Us different from other toy stores? First of, I noticed that they were customer-friendly. 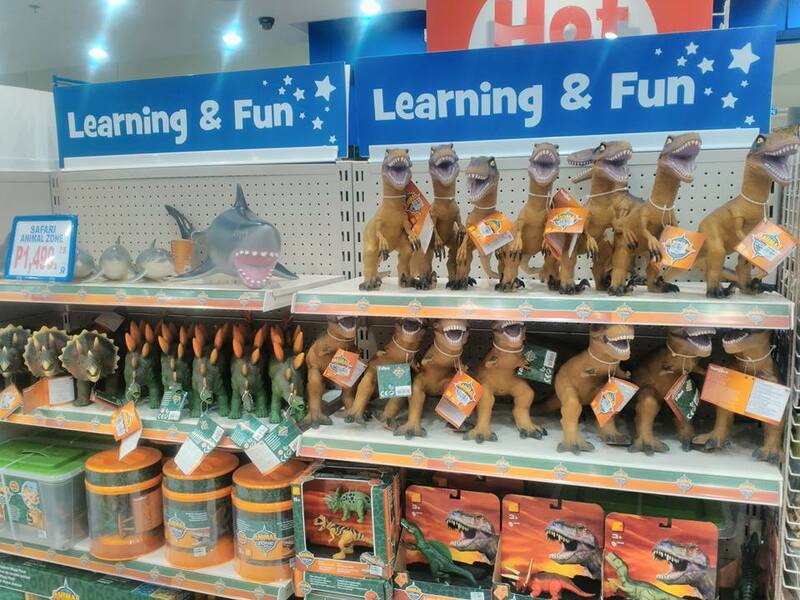 The toys are arranged in 7 toy zones namely: Let's Play Zone [where dress-me-up dolls to mini kitchens can be found], Action and Adventure Zone [where boys would love to hang around because this is where action figures, R/C, trucks, wheels and die cast toys are on display. 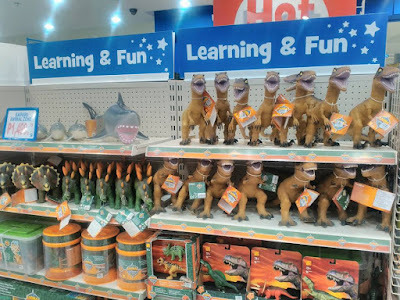 ], young techies can find joy in an array of educational kid-friendly technology based items at Tech Zone, for fun learning and other educational toys, you've got to visit their Toys for Learning and Fun Zone. 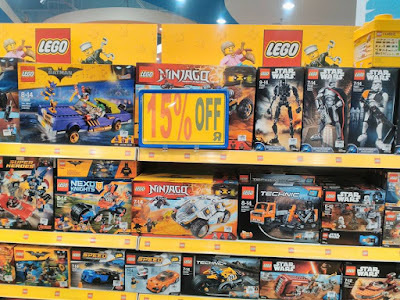 For the family;s enjoyment, there's Family Fun and Game one where you can purchase board games and other fun stuff you can play with your entire family. 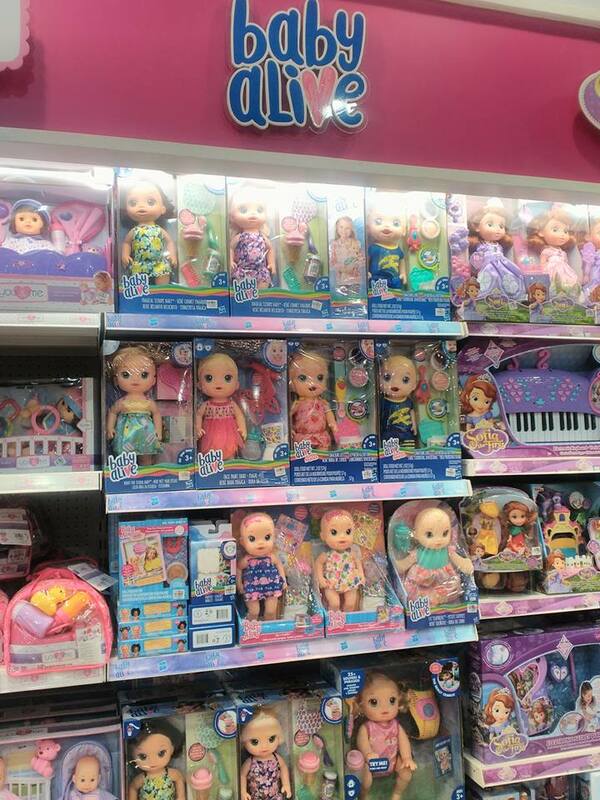 Babies 'R US features toys and accessories for the early growth stages of newborns. This is where one can find shape sorters, electronic books, color recognition and other items for your baby's development on creative geniuses. 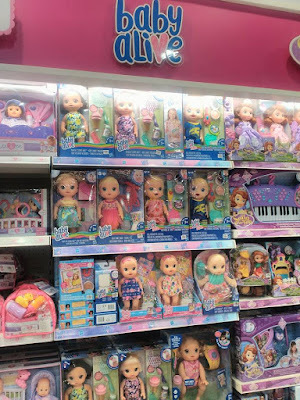 Aside from those I've mentioned, Toys 'R Us is the only toy store that carries some exclusive brands such as BRU, You and Me dolls, Dream Dazzlers, Fast Lane, True Heroes, Just Like Home, Educational Science, Animal Alley and so many others. Here, I'm sharing some of the huge discounted items I've seen over at Toys 'R Us during the flash sale at Ayala South Park mall. 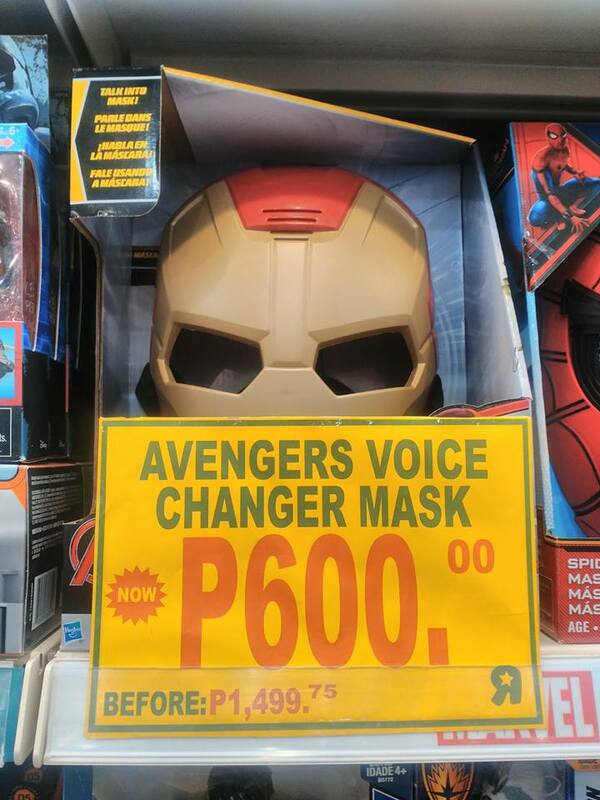 This Iron Man Voice Changing Mask is now being sold at Php600 from its original price of Php1,499.75. 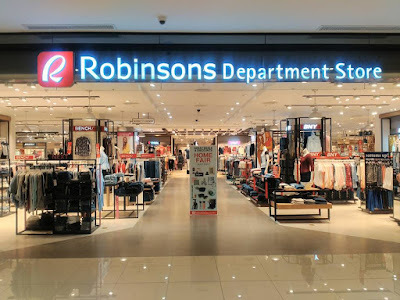 For my next stop, I've decided to check out the Robinson's Department store. 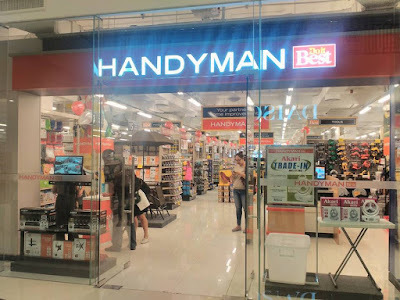 Also located at the second floor of Ayala South Park mall, I was so surprised that this is by far, the most convenient Robinson's Department Store I've ever set my foot on. 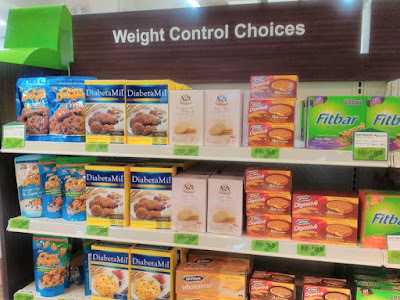 Plus, I'm happy I've got my sizes here--yes, they have Plus Size for women like me who are on the 'healthy or chubby' side. 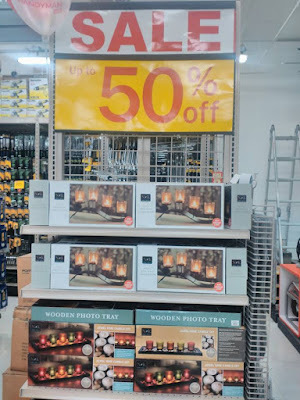 And because it's a flash sale, they have huge discounts too. From branded ones to everything else you need--the discounts range from as low as 30 percent up to 70 percent slash cut from their original price. The Robinson's Department store offers every shopper a true value for one's money. 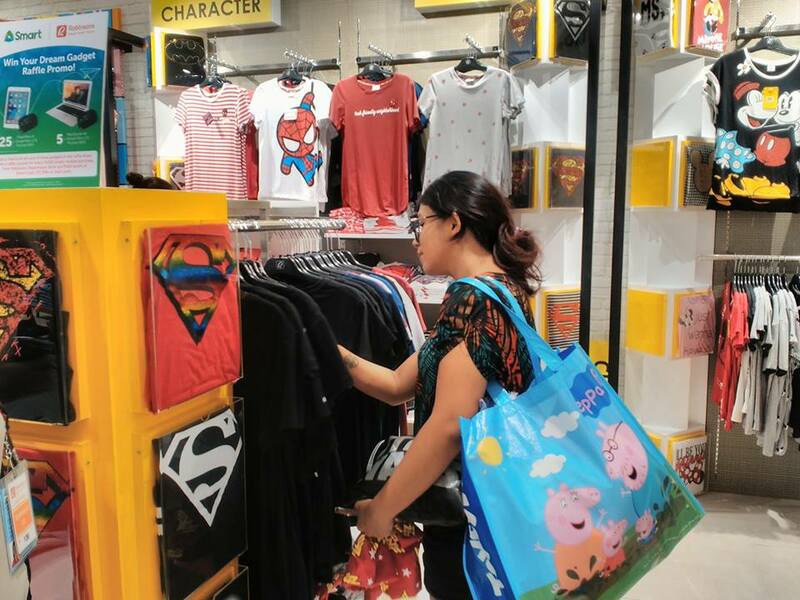 As department stores gear up for the mid-year shopping frenzy that unofficially gets under way this week, behind the scenes they have been locked in a battle with some big-name suppliers over rampant discounting. Get your new season's wardrobe off to a stylish start with exclusive discounts on premium items. 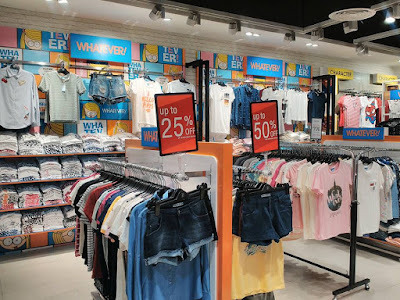 My favorite brands from sporting goods, to shoes, to jackets to home accessories, jewelry and so much more, were all on sale! 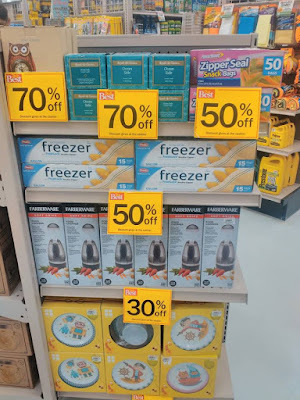 So check out what the SAVINGS madness was all about with some pics I snapped below! 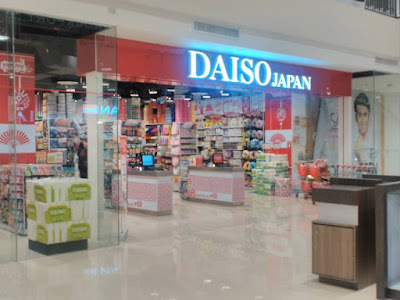 Since I needed something to buy at Daiso Japan, I also checked out their store branch at Ayala South Park mall. Here, you can find anything from Japanese beauty products, makeups to chocolates, snacks, to household items and everything kawaii. 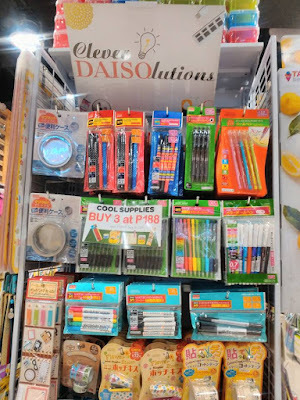 They also offer Daiso Clever Solutions which is really very helpful to most moms as these are items that are usually can be used for a lot of purposes. The best part? They're so affordable! 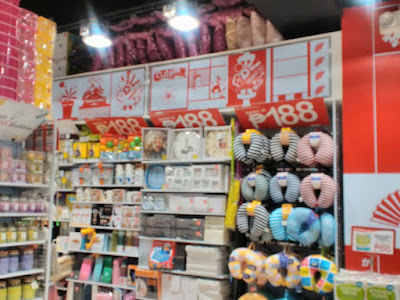 Most items are just around Php88. After visiting Daiso, I went to Handyman. This may be more of a guy stuff. 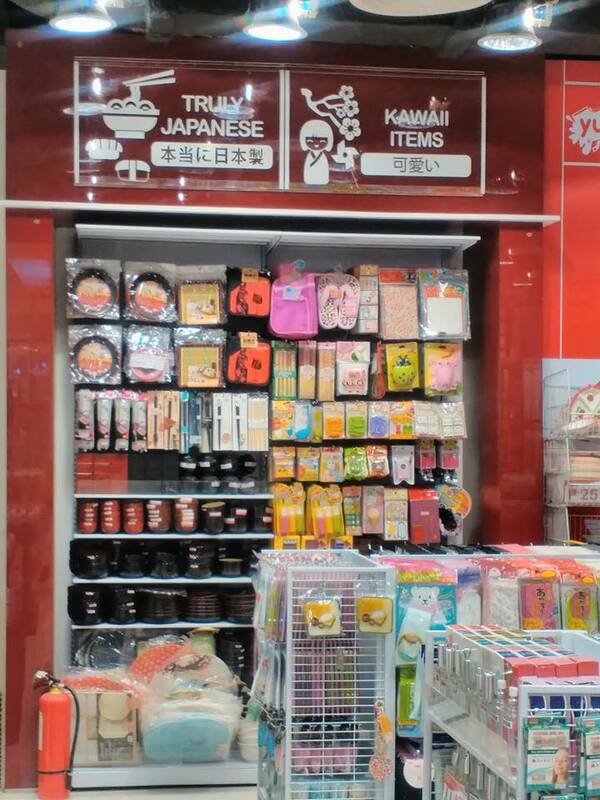 But if you're like me who loves to tinker things, this will be your mecca. 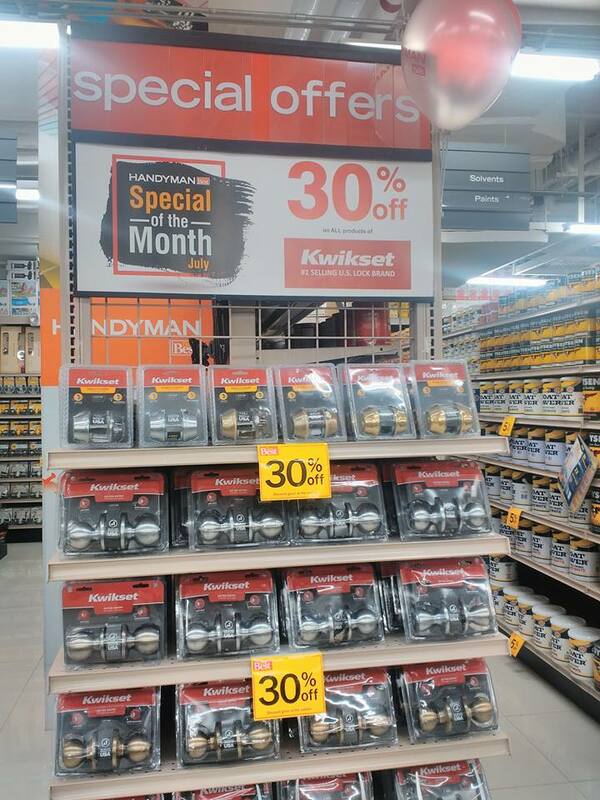 From Handyman, I remember I need to buy my maintenance medicines for my diabetes. Hence, I dropped by South Star Drug. 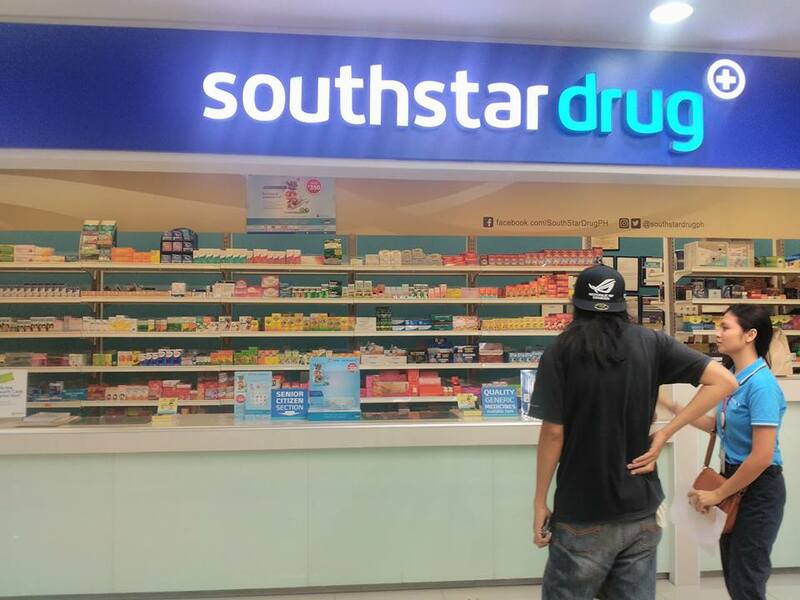 At Ayala South Park mall, South Star Drug is just within the Robinson's Supermarket, both are locate at the Basement. Engagement: being polite, genuinely caring and interested in helping, acknowledging and listening. The Robinson's owned establishments I went to were all very helpful and polite. 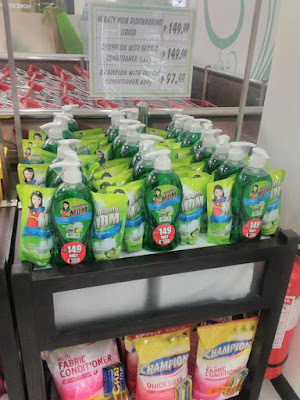 –Executional excellence: patiently explaining and advising, checking stock, helping to find products, having product knowledge and providing unexpected product quality. 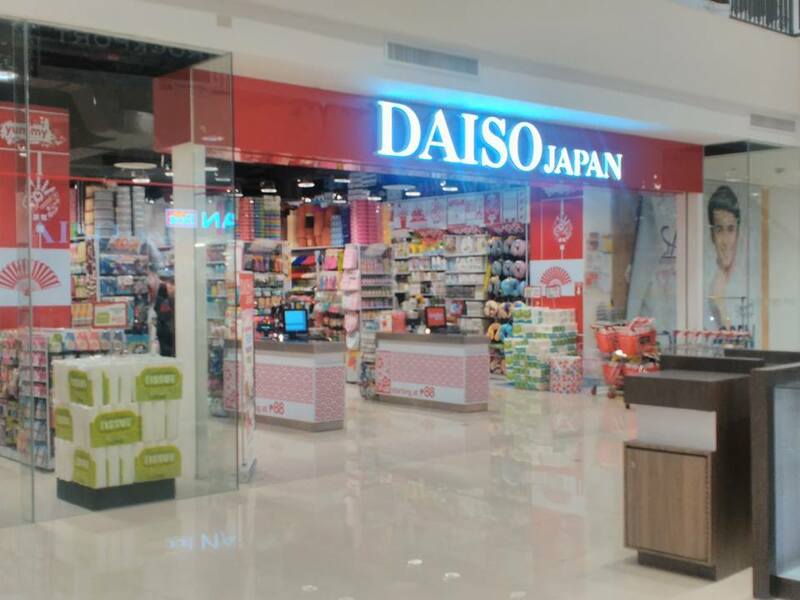 –Brand Experience: exciting store design and atmosphere, consistently great product quality, making customers feel they’re special and that they always get a deal. 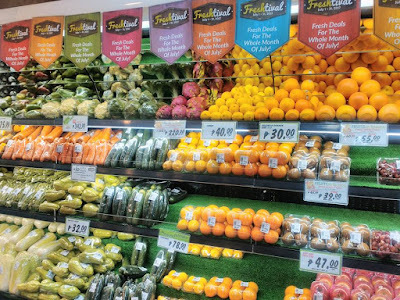 –Expediting: being sensitive to customers’ time on long check-out lines, being proactive in helping speed the shopping process. –Problem Recovery: helping resolve and compensate for problems, upgrading quality and ensuring complete satisfaction. Over all, Robinson's Flash Sale at Ayala South Park had given me one wonderful brand experience which includes store design and atmosphere, consistently great product quality, making customers like me feel they’re special and the sense that customers always get a deal. Waves of shoppers didn't bother the weekend rush just to get their hands on the things they fancy during the 3-Day sale. And Who wouldn't? With all the bargains & red tags left to right, everyone is on Sale mode at the Robinson’s Flash Sale happening at Ayala South Park mall. 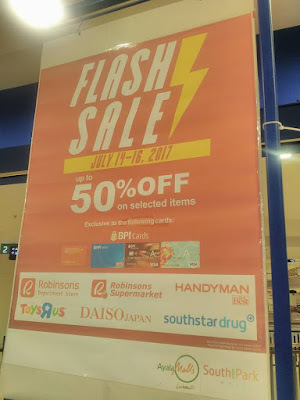 Over-all, my Robinson's Flash Sale was awesome. I got the things I liked at the fraction of the price. 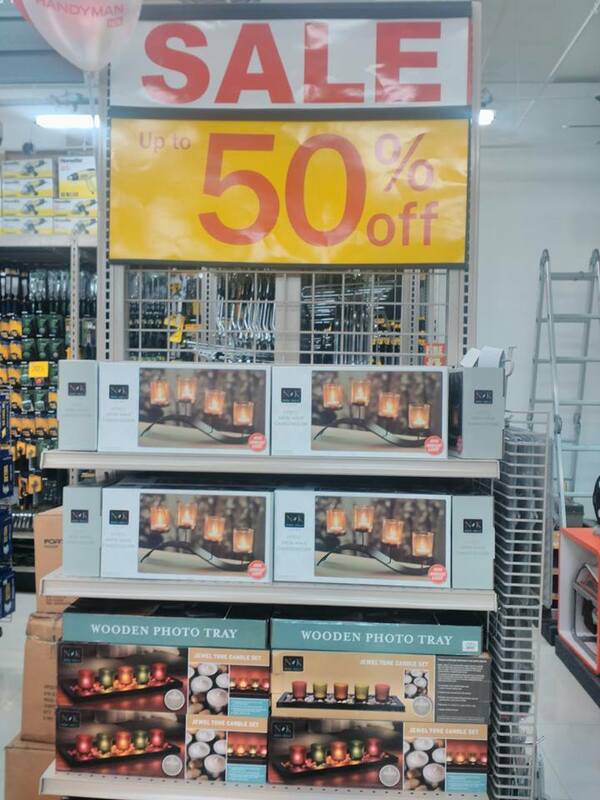 Another fortunate factor was that this sale was really worth going to! 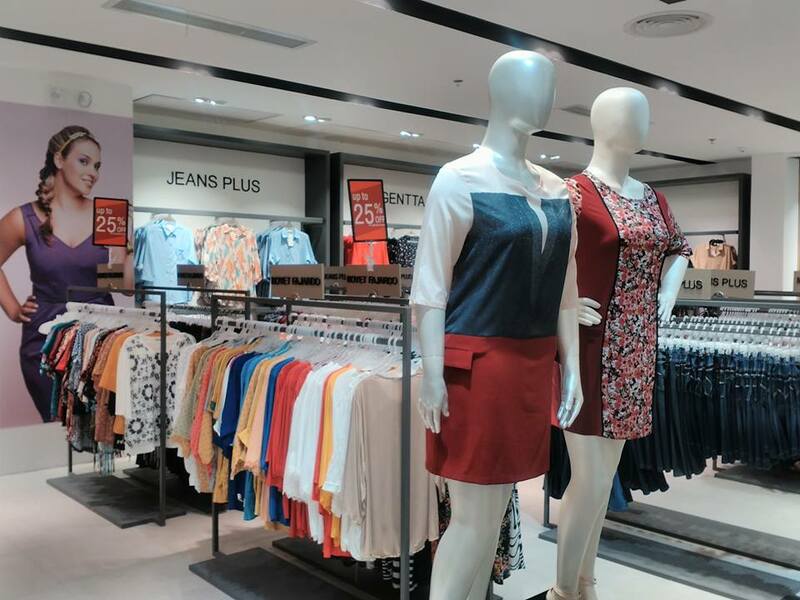 Shopaholics, go ahead and rush to Ayala South Park mall in Muntinlupa to grab hold of the latest finds with discounts reaching up to 70% off! 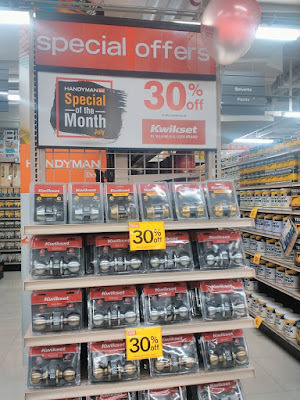 The 3-Day event started on a Friday and ran up to Sunday, perfect timing as payday was just done the weekend before the sale week. (Yipee!). Hurry now! Everyone is checking out the things they bought faster than you can say "SALE!" 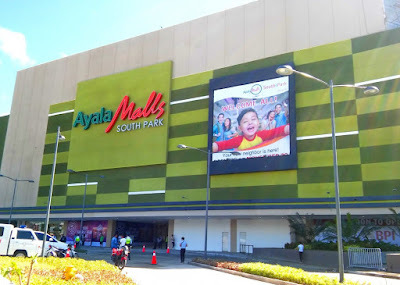 Hope to see you in at the mall!